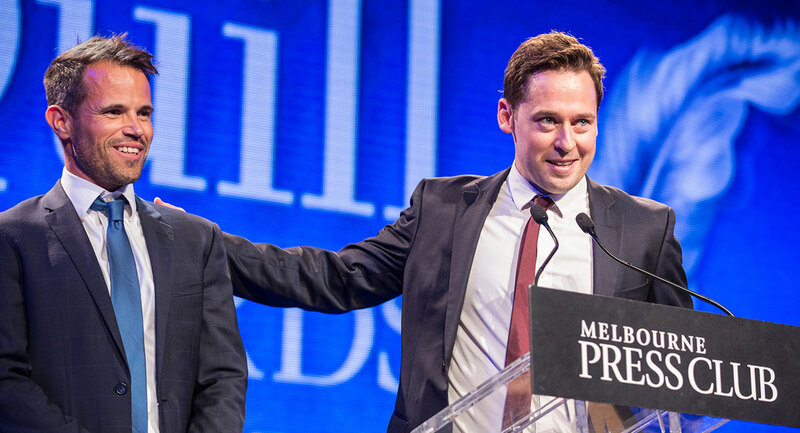 Four Corner’s Nick McKenzie and The Age’s Richard Baker were presented with the Graham Perkin Australian Journalist of the Year Award at the Melbourne Press Club’s 2017 Quill Awards last Friday March 16. The prestigious prize was awarded for a series of reports on China’s increasing influence on Australian politics. 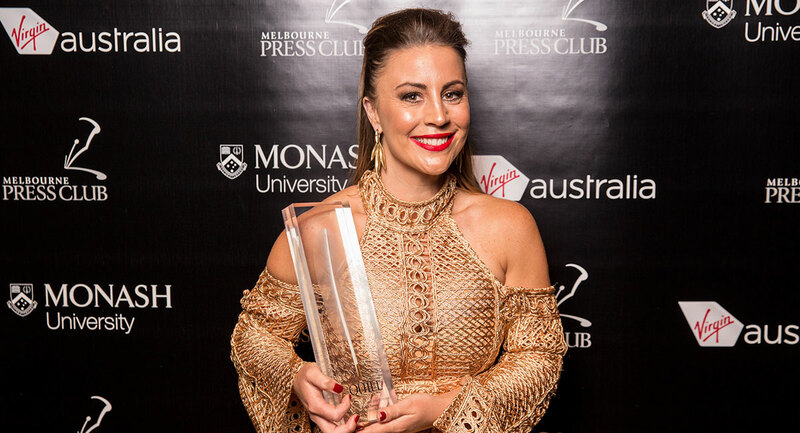 The pair were also part of the Fairfax Media and ABC team, led by McKenzie, that won the 2017 Gold Quill award. 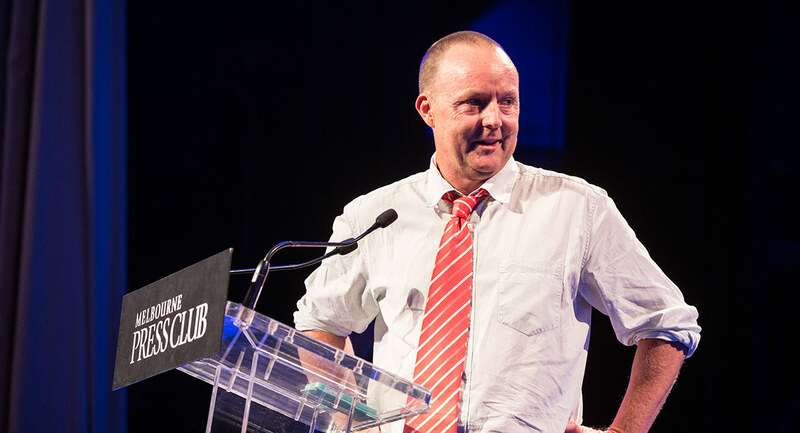 McKenzie has previously won 24 Quill Awards, including the Gold Quill twice. Baker and McKenzie’s partnership has lasted for more than a decade. Last year, their investigative work on the growing Chinese influence over Australian politics caught Senator Sam Dastyari warning a Chinese donor that he was under surveillance. This resulted in him resigning from the parliament. “There are a couple of things that go through my mind when something like this happens. People might not believe this about journalists, but on a personal level, I don’t take any particular pleasure from stories that require dramatic action such as a resignation,” Baker told Mediaweek. Two months after the passing of Skye Turner from a heroin overdose, her sister Laura Turner, who is a reporter on A Current Affair, decided to share the story on the program. 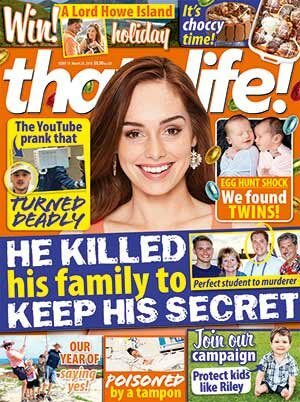 The television package was recognised at the 2017 Quill Awards held earlier this month with Turner winning the TV/Video Feature (Short-Form) category. It was an “emotional” night, she told Mediaweek. Turner had just returned to Australia from America, where she was serving as the US correspondent for Nine News, when Skye’s death hit her family in early 2017. 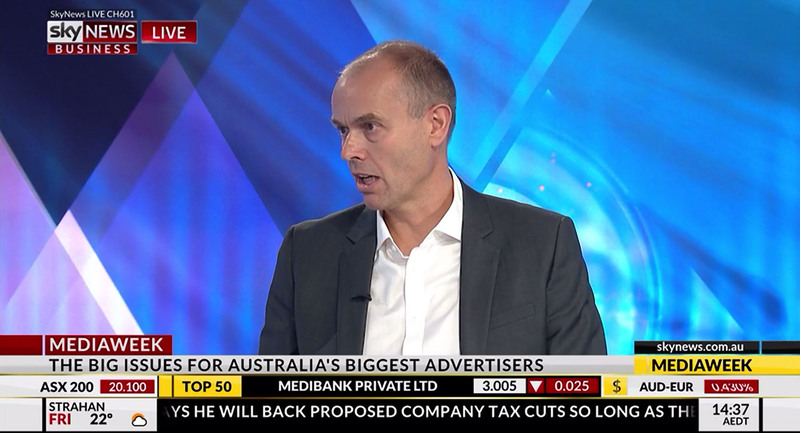 A day after the AANA’s Media Challenge this week looking at the future of advertising and media, AANA chief executive John Broome was a guest on the Sky News Business Mediaweek segment where he spoke with Ingrid Willinge. Tell us about the message from the US where advertisers have been talking about taking back control. Some marketers in the US think they abdicated control of their relationships in the digital supply chain in particular. It is quite a complex supply chain so it is quite easy to pass on that accountability to partners. The message is that if you want to really understand and drive that you need to take back control. That means CMOs are putting themselves back in the driving seat. Does that message resonate more with big US and global companies more than big Australian advertisers? 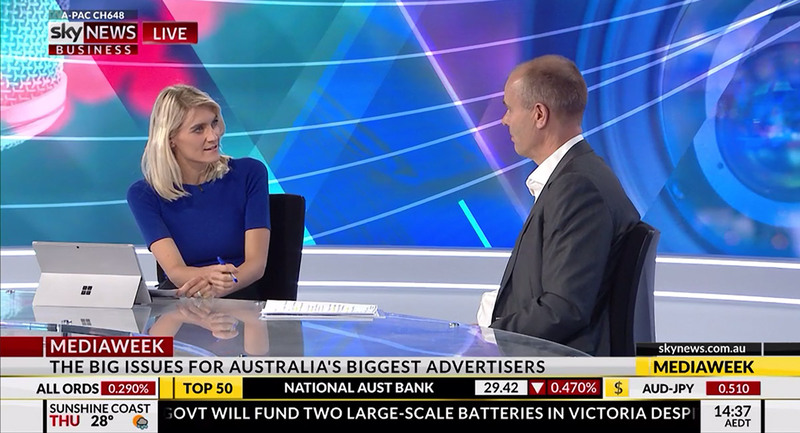 The big US companies will do that but the principal of what they are saying is applicable to every single advertiser – whether you are in the top 20 of advertisers or even a smaller one of the 3,000 national advertisers in Australia. Some advertisers are cutting back their media spend and still grow their businesses. Is this bad news for publishers and broadcasters? No… it is actually good news. Good publishers and good broadcasters will have the advertisers’ goals in mind around driving effectiveness and working toward outcomes that will drive advertisers’ businesses. Anything that drives better ROI is good for the whole industry. The turmoil surrounding Facebook continued to build this week. If there was a regulatory crackdown, will that make it harder for advertisers to market one-to-one utilising data? Let’s make this absolutely clear this is not just about Facebook – this is potentially about anybody who holds people’s data. That can be a brand owner, a publisher, a platform or a broadcaster. We have a duty to ensure we are protecting people’s data in an appropriate way and if we don’t we are going to lose the public’s trust. We need to ensure the appropriate protocols are in place and are very visible. If we don’t, the pressure for government regulation is going to grow. There have been moves in Europe via the general data protection regulation, and Australian businesses need to be aware of some of the requirements around protecting first-party data. There has been talk about moving media agencies’ functions in house but not all advertisers see this as the answer. It makes more sense for some US advertisers where the businesses have scale and it can make strong economic sense. In Australia we are operating at a different scale. It may be that there are 20 to 30 top advertisers here where it might make economic sense. For the majority of advertisers they really need to work with their partners in the industry, particularly the media agencies, to make sure the relationships are based on trust, transparency and effectiveness. Does audience measurement remain an issue? It does. Technology is moving very fast and measurement systems need to keep pace. We are not where we need to be. We need to catch up. How long before measurement will be more accurate? We are much closer than we have ever been. In the next 2-3 years you will see big moves in cross-media channel measurement. If TV broadcasters move to improve the viewing experience by screening less ads, is that bad news for advertisers? Not necessarily. Value is a combination of quality and price. There are lots of things going on with broadcasters in the sense of addressability, for example. If the point of connection is more relevant and a better experience for the viewer then the effectiveness of that might be greater. It is incumbent upon us to make sure we are not annoying the viewer with our advertising. Decreasing clutter might give us the ability to invest more in effective advertising. 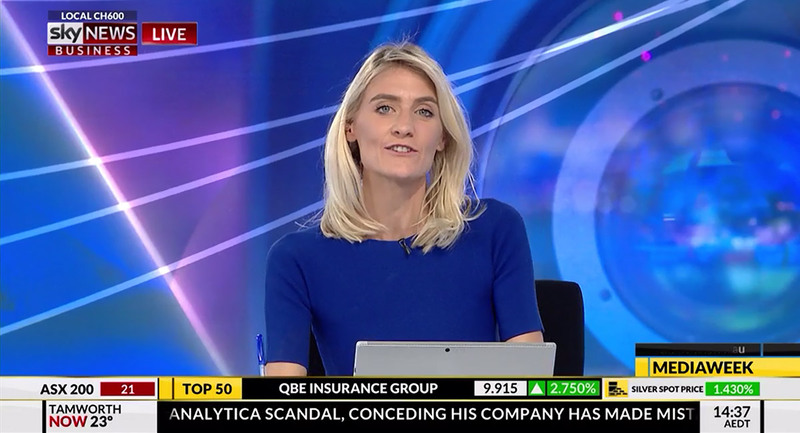 Watch Mediaweek TV on Sky News Business every Thursday at 2.30pm. 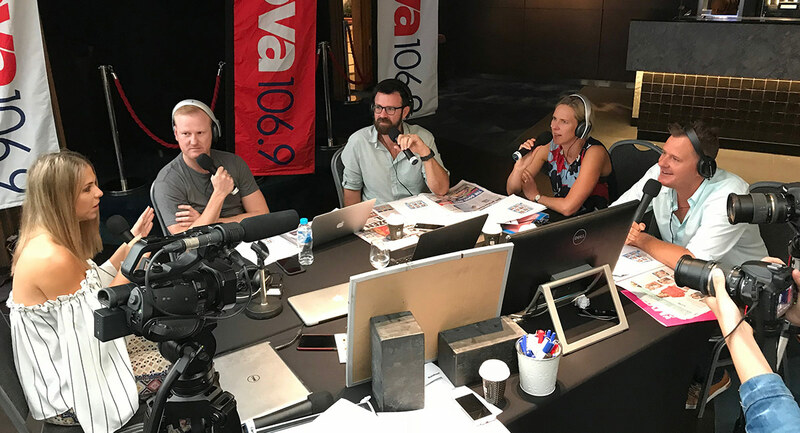 To celebrate Nova 106.9’s partnership with the Seven Network as the official Brisbane FM commercial radio broadcaster of the Gold Coast 2018 Commonwealth Games, the Nova 106.9 team has arrived on the Gold Coast with a tour party of listeners. Although the daily broadcasts don’t start until next month, Nova has arrived early at The Star to finalise broadcast locations across the fortnight. 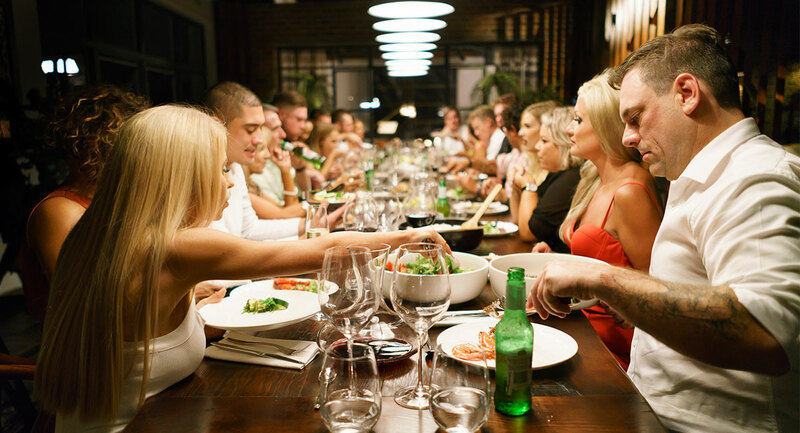 On Thursday night, Ash, Kip, Luttsy and Susie hosted an intimate dinner party with a small group of listeners at the newly refurbished The Star Gold Coast, which is the accommodation partner of the Commonwealth Games. The team then did a live breakfast OB from The Star on this morning. Highlights on the show included a visit from one of the stars of Bachelor in Paradise and a memorable Smarter Than Suse segment where the former swimming champ was yet again the winner. Many of the listeners promised to be on hand to watch the show live but, after a late night in the casino for many, no-one showed up until the show had been on-air for an hour. One listener arrived in the bar where the broadcast was under way wearing a bathrobe. Nova’s unique radio sub-licence means that Nova 106.9 will be the only FM radio station that can broadcast any of the 2018 Commonwealth Games content locally. In addition to the rights to broadcast the audio and commentary from Seven’s broadcast of the 2018 Commonwealth Games, Nova 106.9’s Breakfast Show Ash, Kip & Luttsy with Susie O’Neill will broadcast live from the Commonwealth Games every weekday morning during the Games. The opening day of the Games, Wednesday April 4, will also see Nova’s morning show with Greg Burns and the afternoon show with Katie Mattin broadcast live from the Gold Coast. Nova 106.9 will be live from the Gold Coast 2018 Commonwealth Games for 10 hours from 6am until 4pm. 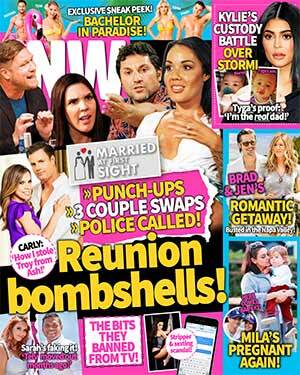 Mediaweek was a guest of Nova and The Star on the Gold Coast. 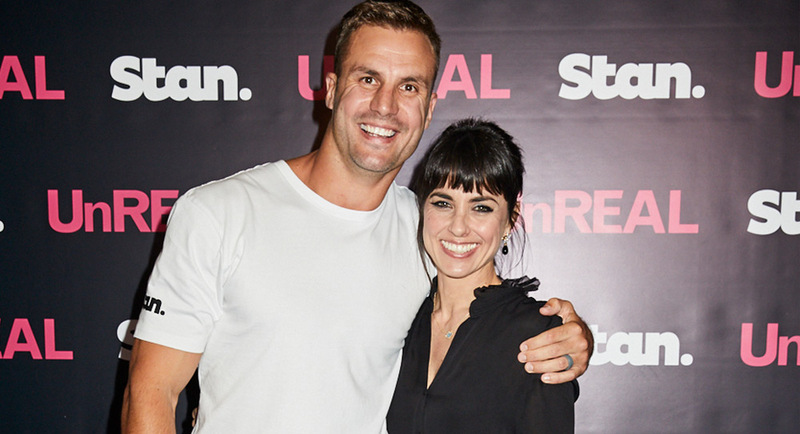 Stan held a fan screening of UnREAL last night in Sydney attended by star Constance Zimmer, who plays the ruthless executive producer, Quinn King, of the dating show Everlasting. Before fans saw the latest episode of UnREAL, Zimmer took part in a Q&A sessions with the hosts of the Mamamia TV podcast The Binge. 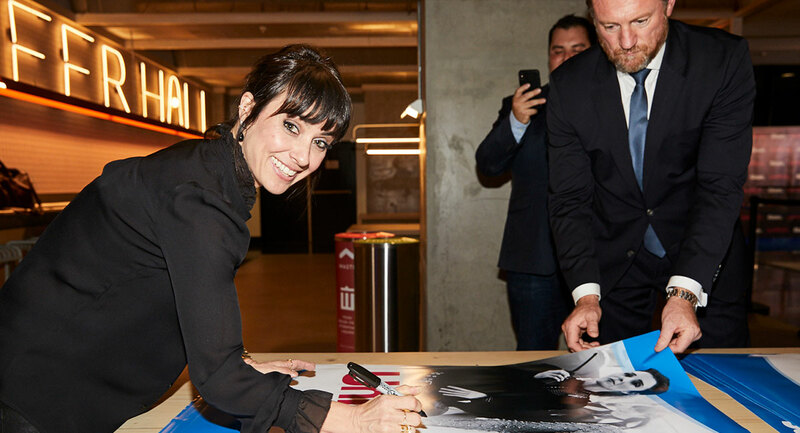 The event was held at Sydney’s Palace Central cinema. News reports have circulated widely this week that the Australian-owned Phnom Penh Post is facing closure due to a large unpaid tax bill, and an unpaid bank loan. The story was originally broken on Monday by Phnom Penh-based AEC News, which said hackers had obtained tax documents. Mediacorp will serve up over 550 hours of sporting action from the Gold Coast 2018 Commonwealth Games next month for Singaporean audiences. The action will be covered on Mediacorp’s multiple platforms including digital, television, radio and social for free. The Games will be broadcast on oktoSports, the sports belt on okto, and Toggle, Mediacorp’s s digital entertainment service. 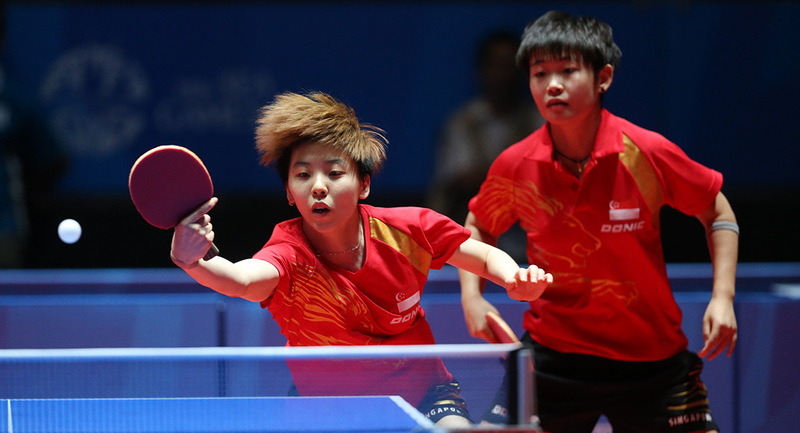 Toggle will provide the widest coverage of the Games with seven live channels dedicated to games action with a focus on Team Singapore’s participation. The sporting action and curated daily highlights are available for catch-up. The Games will be carried on free-to-air okto’s sportsbelt, oktoSports from April 4 to April 15, with games action and daily highlights on weekday evenings and weekend afternoons and evenings. Daily updates and the latest medal tally results will be carried on Mediacorp’s news bulletins on all language platforms. Radio listeners will get the latest news updates on the Games including medal tallies on five radio stations. The Vietnam government is divesting its 47.8% stake in one of the country’s largest pay-TV companies, Viet Nam Television Cable Corporation (VTVcab), a unit of state-owned broadcaster Vietnam Television, in its initial IPO on April 17. VTVcab will float nearly 42.3 million shares in the IPO on the Hanoi Stock Exchange. The IPO timing follows the Prime Minister’s directive to hold an IPO by June 30, 2018. VTVcab, launched in 2012, broadcasts 200 channels in cooperation with other TV service providers, and operates digitally. SPH Magazines will undergo a major restructure, with staffing reduced (or “rightsized” according the press release) from 379 to about 300, mostly through staff attrition and redeployment. But staff will be retrenched this month. 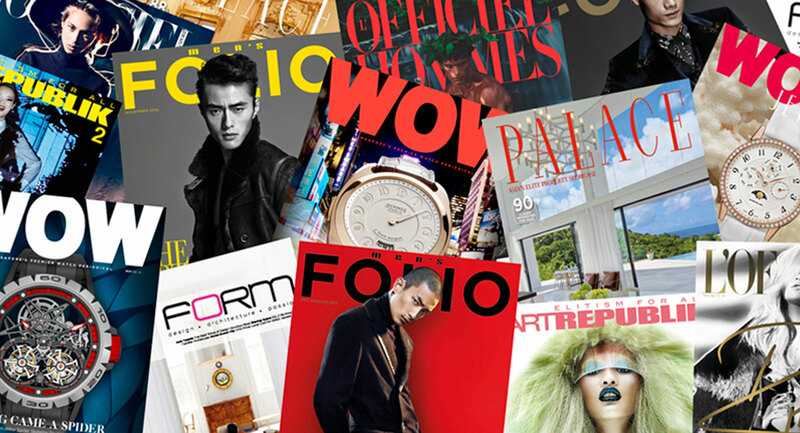 The custom publishing team, Custom Content Solutions, and its contract titles will be transferred to Focus Publishing, the contract publishing subsidiary of SPH’s Chinese Media Group. The editorial division, led by group editor-in-chief Caroline Ngui, will launch shared digital desks to speed up the company’s digital-first strategy, and the title teams will continue to handle both print and digital editorial. 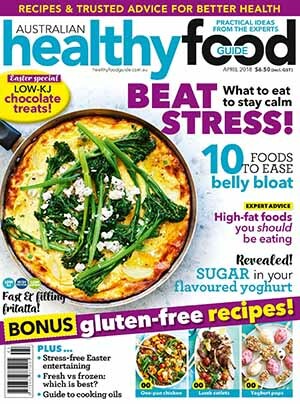 SPH Magazines CEO chief executive officer Loh Yew Seng added that no SPH Magazines titles will be closed in the exercise, although the performance of titles will continue to be monitored. After many years of profitability, SPH Magazines made a loss last year. Music streamer Spotify launched on March 13 in Vietnam, the same day as launches in Israel, Romania, and South Africa and Vietnam. Spotify’s managing director for Asia, Sunita Kaur, officially launched the service in Ho Chi Minh City, with a little help from local female rapper Suboi, the “queen of hip hop” who performed a few lines for US president Barack Obama when he visited Ho Chi Minh City in 2016. 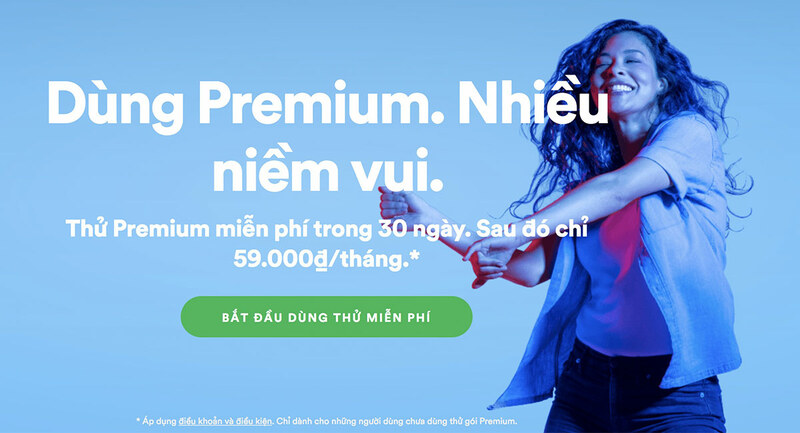 In Vietnam, Spotify will have to compete with Viet favorites like Nhaccuatui and Zing, and Spotify’s direct competitor, Apple Music, has been in Vietnam since 2015 at a low price. Netflix is in discussions to make original programming in Thailand, according to the Bangkok Post. Outdoor Channel Asia has launched its first dedicated feed with a primetime weekday nights fishing program block angled around Get Hooked, to better serve audiences and give advertisers more targeted options. Some of Outdoor Channel’s leading original productions such as Major League Fishing and Trev Gowdy’s Monster Fish have scored high viewership and the company is now angling to capitalise further on this. New original exclusive productions set to air on the Malaysian dedicated feed include: Hookin’ Up with Mariko Izumi, Ultimate Catch, Fins & Skins Classic Adventures alongside returning fishing favorites The Obsession of Carter Andrews, Modern Fishing with Jared Jefferies and Zona’s Awesome Fishing Show. 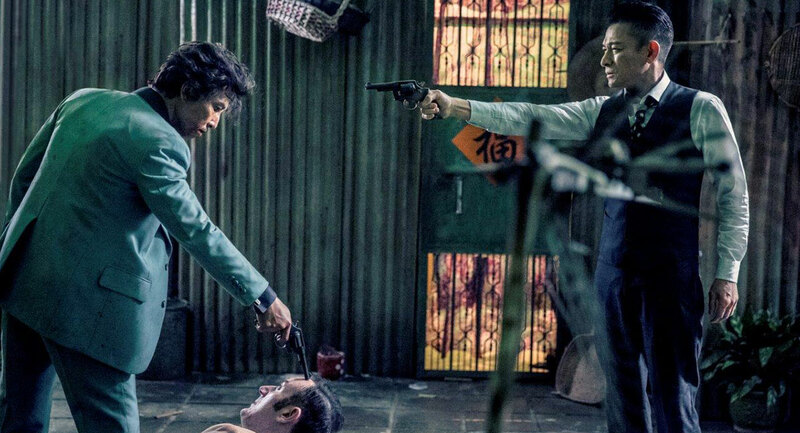 Celestial Tiger Entertainment has renewed its exclusive multiyear output deals with Hong Kong movie studio, Mega-Vision Project Workshop Ltd. The deal secures first and exclusive pay-TV rights, as well as pay-per-view, video-on-demand, and over-the-top rights to its upcoming slate of movies for CTE’s channels, Celestial Movies and cHK, in Malaysia, Brunei, Indonesia, Singapore and the Philippines. Independent Taipei-based Chinese-language news site The News Lens (TNL) has acquired Sports Vision, one of Taiwan’s premier sports news platforms. The acquisition makes TNL a top tier Asian digital sports news provider, and the company will integrate Sports Vision’s editorial teams and back-end operations, but will keep the brands and websites separate. Sports Vision is TNL’s second acquisition – in December the company acquired Inside, one of Taiwan’s top tech-focused Chinese language news websites, along with the Chinese language site’s lifestyle sub-brand ELD. A growing number of Asian media outfits have resorted to paywalls to pump up revenue. Recently the Bangkok Post and the Straits Times went the partial paywall route, introducing premium paid-for editorial. But last week regional website publisher Coconuts went all the way, announcing in an impassioned editorial that its entire editorial would go behind a paywall beginning virtually immediately with the launch of its $US5 per month membership and subscription program, COCO+. 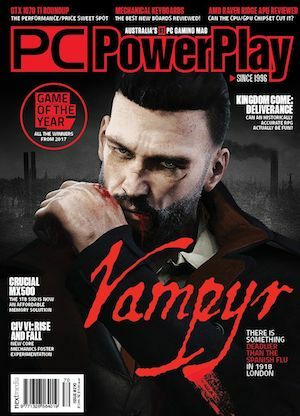 Non-payers are restricted to 15 free articles a month. Coconuts said it had achieved an audience 4.2 million monthly unique visitors at its height, and “an average of 2 million unique visitors per month over the past three years.” The company added. “And frankly, right now, it’s all fucked up” due, it said, to drastic online media ecosystem changes. New York-headquartered A+E Networks has launched its first digital studio outside the US in Singapore, the first of several international studios to be rolled out in Asia. The international studios will specialise in producing original short and mid-form digital content themed around network channels including History, Lifetime, FYI and Crime+Investigation. Collectively, the network’s flagship channels History, Lifetime and FYI have garnered 218 million video views and three million watched hours on its Asian digital platforms. 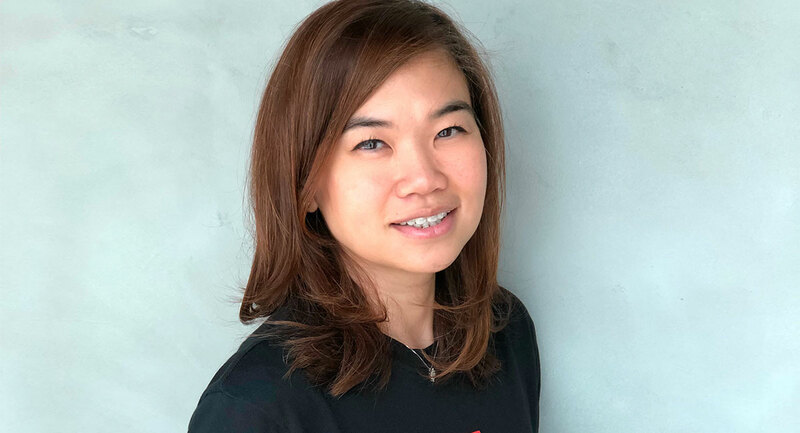 • Southeast Asia’s video streamer iflix has appointed Diana Boo as country manager for iflix Malaysia and Brunei. Before iflix, Boo headed publisher solutions for CtrlShift’s Southeast Asian operation for over nine years. Prior to CtrlShft, Boo held senior BBDO/ Proximity and Saatchi & Saatchi before going digital. • While in Sydney, Cambodian Prime Minister Hun Sen said that Chun Chanboth, the deputy-director of Radio Free Asia’s US-based Khmer service who has been critical of Hun Sen, was in fact the PM’s spy. Hun Sen added that Chanboth had asked for protection from Lieutenant General Hun Manet, deputy commander of the Royal Cambodian Armed Forces and the PM’s eldest son, because he feared that US agents would kill him. • Singapore-based martial arts media company One Championship has appointed billionaire entrepreneur Saurabh Mittal as vice chairman. In May last year Forbes wrote of Mittal’s involvement with One Championship, describing Mittal as a “global Investor with Warren Buffet likenesses.” Mittal founded Mission Holdings, which in July last year invested in One Championship. • Malaysia’s MEASAT Satellite Systems will distribute six more TV channels to pay-TV operators in Asia following a multiyear program deal with SPI International. The SPI channels are FightBox HD, DocuBox HD, Fast&FunBox HD, FilmBox Art House Gametoon HD and FunBox UHD. • Myanmar jobs platform JobNet has raised a seven-digit US dollar funding round led by an unnamed existing investor, a London-based emerging markets-focused fund. Bermuda-based Vostok New Ventures also joined the round. In 2017 JobNet claimed to have attracted over 400,000 visitors with more than 45,000 job applications a month. • Since iflix Malaysia signed a joint venture with Football Malaysia in January, the average viewership on the all-new “Football Malaysia on iflix” channel has remained 470% higher than the average attendance at stadiums. iflix will now expand the program to include short-form material focused on goals, saves, players and skills, as well as human interest stories. Singapore-based Australian serial entrepreneur and former social media editor for the South China Morning Post, Chris Chong – who turned 29 yesterday – has lived the life of a startup legend since December 2010. That’s when a company his brother co-founded with him seven months earlier was acquired by Groupon for an undisclosed figure that was widely guesstimated in media reports to be US$24m, or perhaps S$24m. The story, Chong said in a TV interview, “played to the media hype of the overnight entrepreneurial success story”. Now Chong hopes to help other startups enjoy media hype with his own new startup, an innovative PR agency called SumoStory. Chris Chong was raised in Sydney, where his Malaysian parents ran a printing business based in Bondi Junction. “My family moved all over Sydney as my mum was savvy about property investment,” Chong said, “She would try to buy low and sell high. I’ve lived in Cherrybrook, Newport, Maroubra, Bondi Junction, Kirribilli and Chinatown.” Chong was studying Law and Arts (Media and Communications) at UNSW when his brother Karl, a private equity investor with the Macquarie Bank in New York, phoned saying he had a brainwave – he wanted to set up a Singapore clone of Groupon. Chong, realising that studying law bored him, was quick to heed big bro’s call, and both siblings moved to Singapore. The duo, dossing in a one-bedroom apartment, lived rough and set about setting up a company, Beeconomic, in 2010. But no sooner was the company up and running than a call came from Groupon headquarters, the brothers did a Shark Tank-like pitch, and the rest is history. After the buyout, Chris worked at Groupon Singapore for four years, then launched two startups that didn’t take off, and worked as the social media editor at the South China Morning Post. 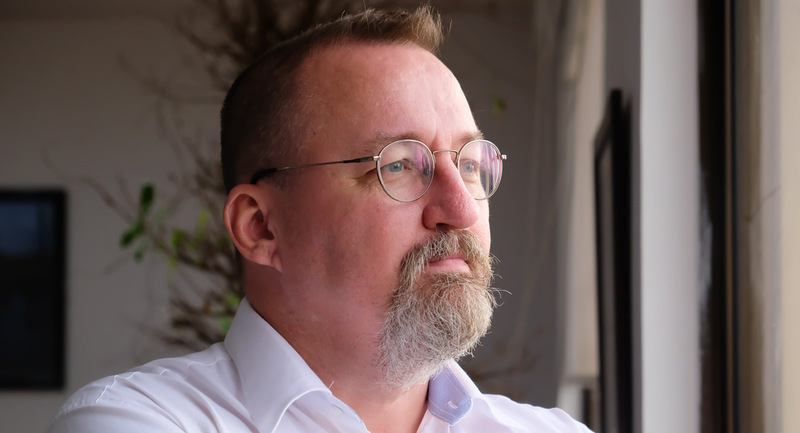 Then in June 2017 he announced he was launching a super high-tech PR firm, SumoStory, that would use data scrapers and algorithms to match journalists’ interests with exciting new startups, streamlining the pitch process, thus slashing the going PR rate, providing affordable public relations to promising startups with a view to “shake up the PR industry”. The PR industry shook back and in December MustShareNews, a Singaporean news site catering to the “social generation”, reported that Chong and SumoStory were embroiled in “scandal after scandal”. Most of the so-called scandal was sniping from rival PR organizations, but Chong, who was also writing for Forbes, was outed for promoting his clients on Forbes under the guise of editorials. Forbes removed all his posts from its website and ended its relationship with him. Chong apologised for his Forbes action via video, saying that as a journalist what he did was wrong but as a founder of a PR firm what he did was inexcusable but a pragmatic move on his part to try to cover and promote his clients on Forbes. Chong, noting that he had been “disciplined”, weathered the scandal and kicked off 2018 by attending a 10-day silent meditation retreat with no access to email or internet. After the retreat, he told Mediaweek the Forbes saga “hurt”, but that SumoStory is doing good business, scandals withstanding. Home and Away screened in three markets to 387,000. 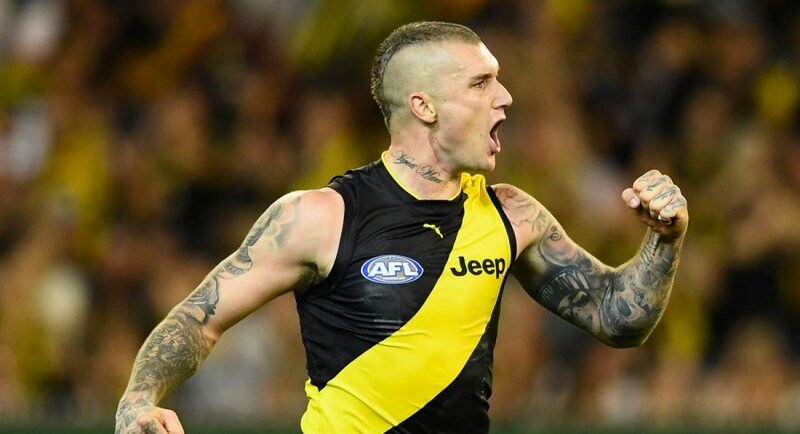 The AFL season is under way for Seven with the Richmond v Carlton clash pulling a big crowd at the MCG and a metro audience of 404,000 for Seven Melbourne. After averaging over 900,000 across the first three nights, A Current Affair’s audience dropped to 514,000 across four markets (no Brisbane). Nine Thursday NRL round 3 match between North Queensland and Melbourne Storm had 423,000 watching in Sydney (223,000) and Brisbane (200,000). The NRL Footy Show then did 148,000 – 77,000 in Sydney and 71,000 in Brisbane. The primary channel had its fourth-biggest share since survey started six weeks ago. The biggest audience was 610,000 watching Gogglebox. Next best was over half a million watching Show Me The Movie!, the new 7.30pm quiz show hosted by Rove McManus. It was a great result against live sport in every metro capital and was the channel’s biggest early evening audience since the end of I’m A Celebrity…Get Me Out Of Here! Call The Midwife was on 515,000 followed by Unforgotten on 312,000. Thirty minutes of Great British Railway Journeys did 226,000. 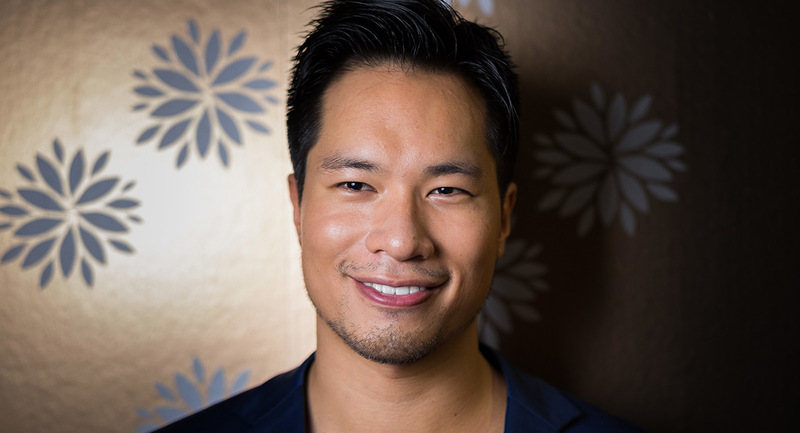 The second episode of Luke Nguyen’s Food Trail then did 134,000. Advertisers threatened to abandon Facebook yesterday as Mark Zuckerberg admitted the company had made mistakes over the Cambridge Analytica scandal, reports The Times. Zuckerberg, co-founder and chief executive of the US technology giant, broke his silence to head off a revolt among users and financial backers. ISBA, a British group of leading advertisers that spend hundreds of millions of pounds a year on Facebook, demanded answers. It is understood that some of its 3,000 brands, which include those of the consumer goods companies Unilever and P&G, will not tolerate association with Facebook if it emerges that users’ data has found its way into the hands of brokers and political campaigners without authorisation. 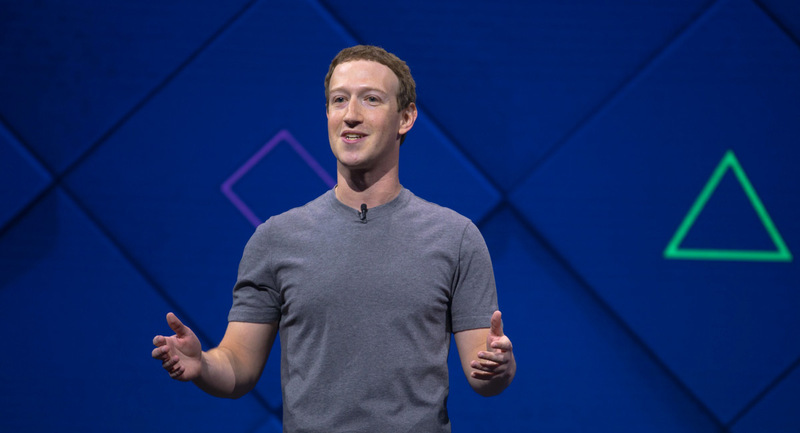 Facebook founder and CEO Mark Zuckerberg has responded to the controversy surrounding the improper use of data collected from users by the social media platform. Six media organisations have been knocked back in their bid to join the fight against Hollywood star Rebel Wilson’s record $4.5m defamation payout, reports AAP’s Amber Wilson. The Seven and Nine networks, News Corp, Fairfax, Macquarie Media and the ABC applied to “intervene” in the proceedings, planning to argue that the trial judge had made a mistake in finding that the statutory damages cap did not apply. Justice Pamela Tate said while the six media organisations had a “significant interest” in the case, she and Justice David Beach were not persuaded their arguments would be useful. The media organisations were also ordered to pay Rebel Wilson’s legal costs in defending the unsuccessful bid. Real estate media and services business Domain has appointed Tony Sutton as executive director of residential sales and promoted Jon McConkey to senior sales director NSW and ACT. Sutton was the founding marketing director of Ireland’s first property portal MyHome.ie, sales and marketing director at Truvo Ltd, head of sales at REA Group and head of partner channels at MYOB. He takes responsibility for leading the residential state sales directors and delivering on Domain’s key sales priorities. He will be based in the Sydney office and starts on April 9. McConkey joined Domain in 2007 as an account manager and moved up through the ranks to become a sales director. During the past four years as a sales director of NSW, McConkey has delivered strong performance, built a world-class sales team and developed outstanding customer relationships. Female-driven connection platform Bumble – sometimes referred to as ‘the feminist Tinder’ – has announced the Australian launch of professional networking feature Bumble Bizz. Bumble Bizz is a new mode within the Bumble app designed for professional networking and mentoring. 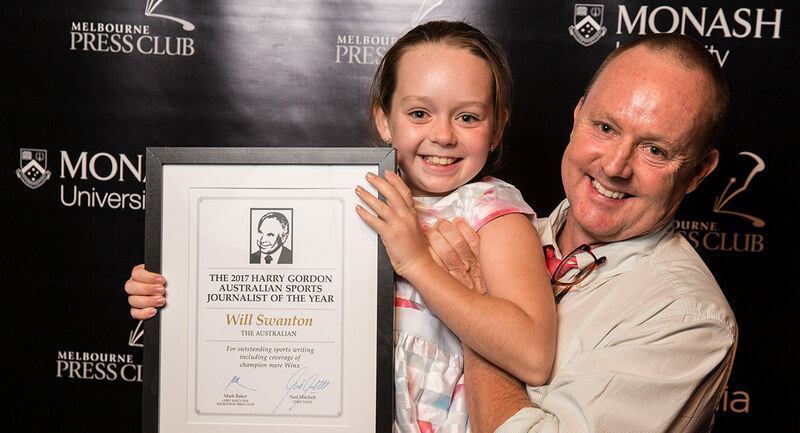 It was officially launched last night at The Butler in Sydney. Over 85 media, influencers and businesswomen gathered to hear from Bumble’s Head of Brand, Alex Williamson, who told the audience Bumble hopes that Bizz will help users grow their careers by enabling person-to-person networking. Bizz is powered by the notion that a connection or simple exchange of information can lead to the opportunity of a lifetime, and is part of Bumble’s long-term vision of becoming the major social network for connecting with people you don’t know. “By launching Bizz, we are continuing to evolve the Bumble brand. From dating, to friendship and now business, we are ensuring our users can connect with likeminded people in all facets of their lives. Love, friendship, networking – these are all the foundations for a happy, meaningful life,” said Michelle Battersby, Bumble’s Country Lead for Australia. Bumble used the event to reveal its new One Connection campaign, fronted by former Pacific Mags exec Jackie Frank, founder of the Elle Effect tanning range Elle Ferguson, owner of online fashion store The Connection Nadia Bartel, co-founder of online fitness program Keep It Cleaner Laura Henshaw, founder and CEO of Mon Purse Lana Hopkins and co-founder of education startup Austern International Jamie Lee. 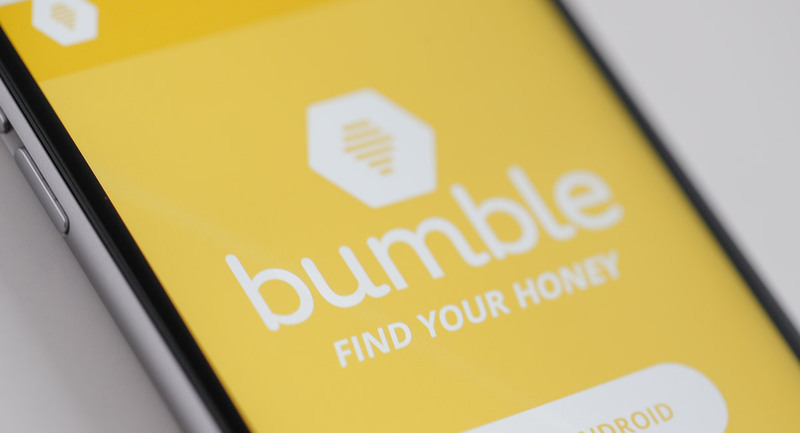 Australia is the fourth largest market for Bumble with the fastest growing user base globally, and over one million downloads generated to date and a 50/50 gender split. Australian downloads quadrupled in number between January 2017 and February 2018, with the majority of users aged 23-28. 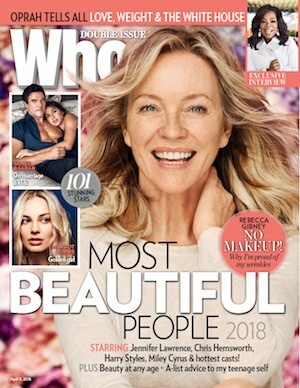 If Nine digital boss Helen McCabe’s new online baby Future Women flies after its likely midyear launch, the former editor-in-chief of Bauer Media’s Australian Women’s Weekly could join the rarefied club of journalists turned successful entrepreneurs, reports The Australian’s Margin Call column. Margin Call reports McCabe, who abruptly parted ways with German billionaire Yvonne Bauer’s Australian operations in January 2016, brought the concept for the women’s platform to Nine CEO Hugh Marks during their negotiations over a role at Nine in late 2016. 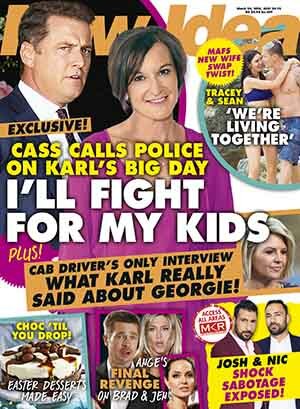 The platform became a sweetener to lure McCabe (originally as Nine’s head of lifestyle). To get the thing humming, Marks has since thrown in a $2.5m wad of cash from his ascendant media empire, now worth almost $2 billion after climbing 48% in the year to date. McCabe retains 20% of the equity in the startup, while Nine has the remaining 80%. China’s ruling Communist Party plans to create a super broadcaster aimed at audiences in Australia and other countries in a move that will add to concerns about Beijing’s attempts to influence opinion outside its borders, reports The AFR’s Michael Smith. Plans for the giant propaganda machine were unveiled as part of a wider push to sell “Xiplomacy” – a term coined by China’s state-run media to sell President Xi Jinping’s vision for China to become a bigger player on the world stage. Under the plan, the country’s state-owned television broadcaster China Central Television (CCTV) will be merged with its main domestic and international radio broadcasters to create a new entity called “Voice of China”. 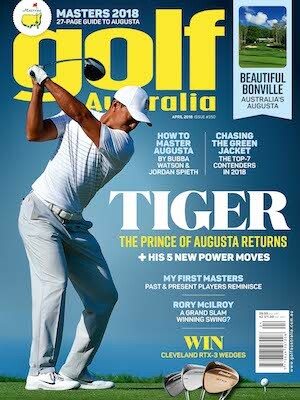 Read Peter Olszewski’s Mediaweek Asia above. SBS Australia will monitor Voice of China news, broadcast on SBS World Watch, and try to bring balance through its own news and the Mandarin radio station, reports Fairfax Media’s Aja Styles. Voice of China is the merger of the Communist Party’s China Central Television (CCTV), China National Radio and China Radio International as part of the ruling party’s reorganisation program to gain greater control of the China message in an age of the internet and social media. “In accordance with the SBS Codes of Practice, SBS clearly identifies the source of each World Watch bulletin to ensure that audiences are aware that the content is not produced by SBS,” an SBS spokesman said. In 2017 revenues from recorded music in the United States increased 16.5% at estimated retail value to $8.7 billion, continuing the growth from the previous year, reports the Recording Industry Association of America. At wholesale, revenues grew 12.6% to $5.9 billion. Similar to 2016, these increases came primarily from growth in paid music subscriptions to services like Spotify, Amazon, Tidal, Apple Music, Pandora and others, which grew by more than 50%. This is the first time since 1999 that US music revenues grew materially for two years in a row. At $8.7 billion, the industry has taken a decade to return to the same overall revenue level as 2008, and is still 40% below peak levels as the growth from streaming has been offset by continued declines in revenues from both physical and digital unit based sales. Streaming music platforms accounted for almost two-thirds of total US music industry revenues in 2017, and contributed nearly all of the growth. The streaming category includes revenues from premium subscription services, streaming radio services including those revenues distributed by SoundExchange (like Pandora, SiriusXM, and other internet radio), and ad-supported on-demand streaming services (such as YouTube, Vevo, and ad-supported Spotify). Total revenues from streaming platforms were up 43% to $5.7 billion, and in 2017 made up 65% of total industry revenues. Since the Meredith Corporation announced its US$2.8 billion deal for Time Inc. in November, the company has hinted that it might not hold on to Time magazine, Sports Illustrated, Fortune and Money. Those titles, heavy with news, clashed with the company’s portfolio of lifestyle publications like Better Homes and Gardens, Family Circle and Allrecipes, reports The New York Times. On Wednesday, Meredith made it official: In meetings with employees and a news release, the company said it planned to sell those four former Time Inc. titles. Meredith also said on Wednesday that it was immediately laying off roughly 200 employees and that it would eliminate about 1,000 more positions over the next 10 months. The layoffs are part of the company’s plan to cut between $400 million and $500 million in costs over the next two years. 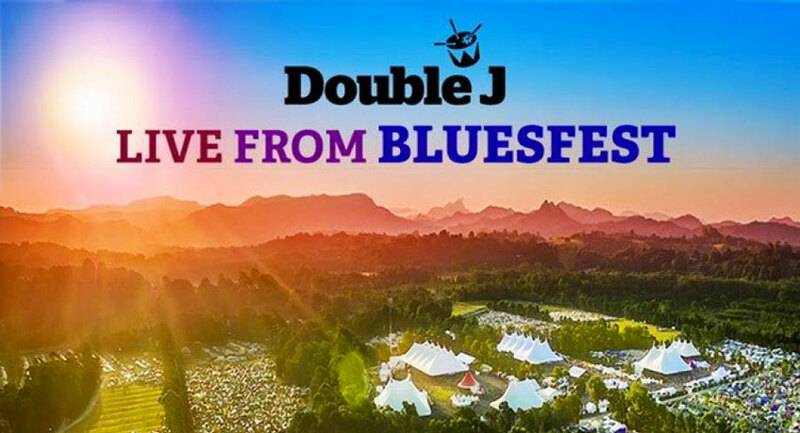 Bluesfest and major media partner Double J have announced they will host a special two-hour live broadcast on Friday March 30 from 5pm on the Juke Joint stage at the NSW Easter music festival. Double J Mornings host Zan Rowe will join ABC Gold Coast’s Nicole Dyer to interview artists including reggae legend Jimmy Cliff, roots vibe-master Michael Franti, the first ever Double J Australian Artist of the Year Mia Dyson, ARIA-winning folk quartet All Our Exes Live In Texas, New Orleans folk-blues auteur Hurray For The Riff Raff and Benny Walker. The artists will also perform live. The program will be broadcast live on Double J, ABC Gold Coast, ABC Sunshine Coast and via the ABC listen app. ABC Local Radio will also replay the show on Sunday April 1 from 7pm. Married at First Sight has delivered Nine its best start in several years, dominating the key 7.30pm timeslot and posting significant audience growth across both television and digital. Across the network share, Married at First Sight has given Nine its best ever start to the ratings year among 16-39s and grocery buyers, while among 25-54s it is the best start to the year since 2004. Among Total People it is the best start to the year for the network since 2010. “This season Married at First Sight has become the national obsession, emerging as a cross-platform juggernaut that owned the conversation,” said Hamish Turner, Nine’s Program Director. NRL legend Mark “MG” Geyer has joined Seven News in Sydney. He joins fellow NRL legend Brett Kimmorley as a Seven News Rugby League contributor. 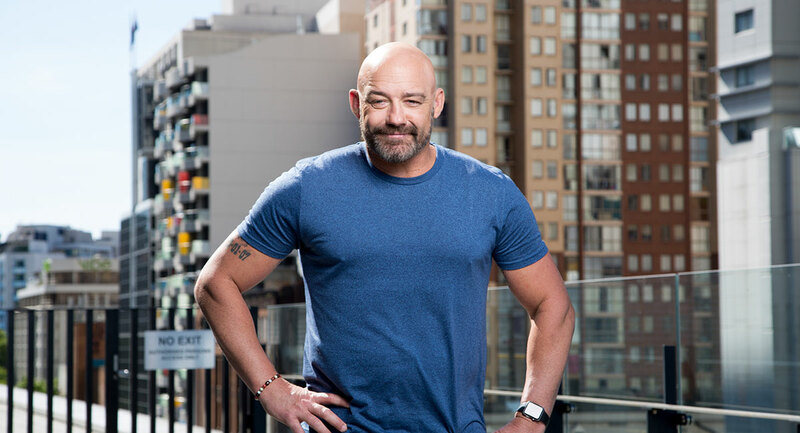 Geyer has spent almost a decade in radio and currently hosts Triple M’s Rush Hour and NRL coverage. Game of Thrones fans who can’t wait to get their next blood-splattered TV fix will soon be able to watch a new series based on a George RR Martin novella, reports Fairfax Media’s Broede Carmody. The 10-part psychological thriller stars Australian actor Angus Sampson, best known for his roles in Mad Max: Fury Road and Insidious. Nightflyers, due to be released on NBC Universal’s science-fiction channel in the coming weeks, is based on a 30,000-word piece written by Martin in 1980. The novella won a 1981 Hugo Award, with a film version released in 1987. Nightflyers, which was shot in Ireland and co-produced by streaming giant Netflix, will make its debut in the United States in the coming weeks. However, it isn’t expected to air on Netflix in Australia until well into the second half of 2018. The AFL’s best season on record last year has translated into a massive financial windfall for the competition, report The Australian’s Greg Denham and Patrick Smith. The league will announce to its clubs today that 2017 – the first year of the new six-year broadcast rights deal – produced a record $60 million profit. Under the third full year of AFL chief executive Gillon McLachlan, who took over from Andrew Demetriou at the end of April 2014, and in the first full year of new AFL Commission chairman Richard Goyder, the league smashed almost every key performance indicator. Crowds were up 7%, members up 4%, viewership increased by 3%, participation rose by 10% and the digital audience was up 4%.